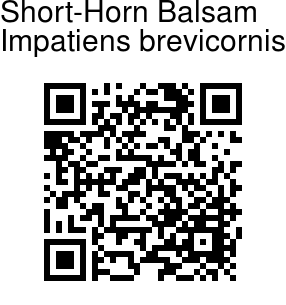 Short-Horn Balsam is an erect, slender marshy herb, 15-30 cm tall, hairless or sparsely hairy. Leaves are elliptic, oblong-lanceshaped or linear-oblong, pointed or tapering at tip, wedge-shaped or rounded at base, about 4 x l cm. Flowers are up to 1.8 cm across, red. Lip is boat-shaped; spur much curved, shorter than wing, often coiled into a complete circle and sometimes shorter than lip. Stipe of wings slender; basal lobes very small, narrow and curved. 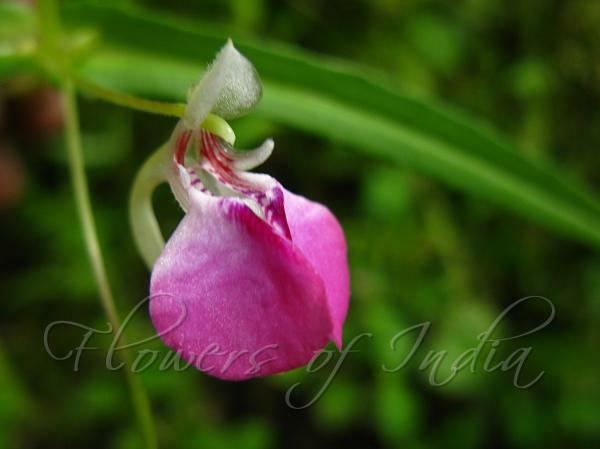 Short-Horn Balsam is found in Kamataka and Kerala. Flowering: August-September.